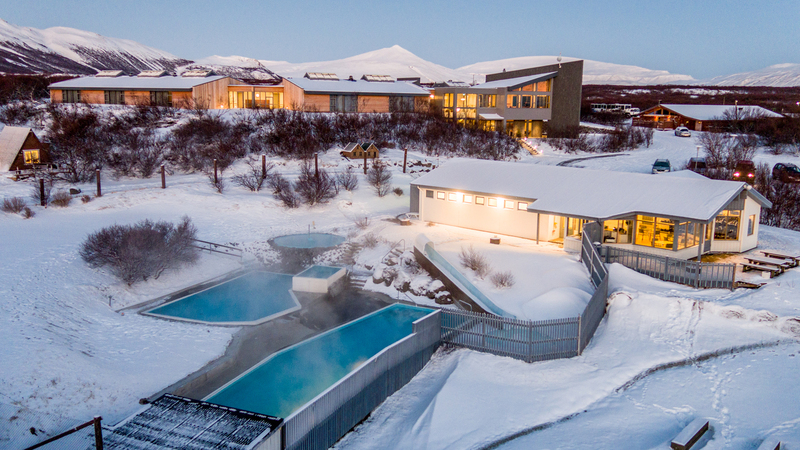 Swimming outdoors in geothermal heated water is the ultimate local experience in Iceland. As a hotel guest you enjoy year-round and complimentary access to our swimming complex located just outside the main lobby. There are four individual pools of varying temperatures which can be adjusted according to preference.